Anti-aliasing is a digital editing technique which helps provide a smoother shape for the image subject, making its edges look evener and sometimes fuzzier. Anti-aliasing is particularly useful in editing graphic images and is often seen as a tool to repair images that don't have a large enough resolution. reaConverter anti-aliasing is really simple and fast to apply, not to just to one image but to as many as you want. Load all the images you intend to edit by selecting them from your computer or by using the drag-and-drop tool. Here you can customize the intensity of the anti-aliasing feature using a handy scroll bar. Check the effect of your selection in real time, in the right part of the window, after ticking the Preview button. Go to the Saving options tab, and pick a location for your edited image files. You can save them locally — in the source folder, in a newly created one or in a customized location. 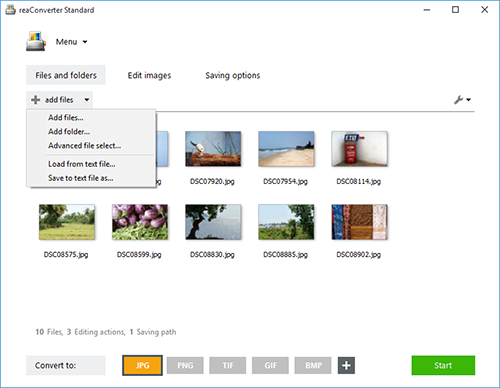 Last but not least, decide whether you want to preserve the format of your images or opt for a new one. 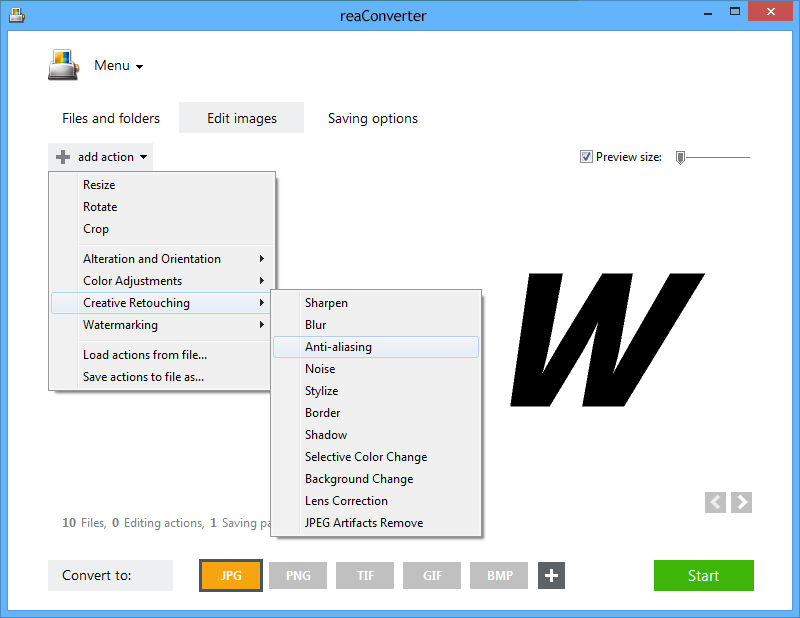 reaConverter supports conversion in and from a large number of extensions. Simply pick one of the buttons from the lower part of the window, or in case you don't find your desired extension there, check the rest of the available ones by clicking the Plus button. 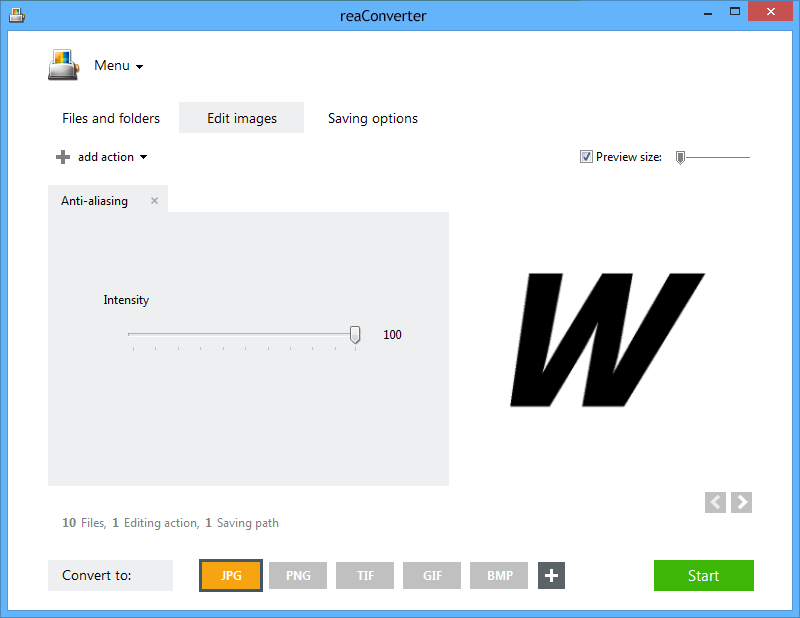 After this is done too, just press Start and your new images will soon be ready! Command-line anti-aliasing tool is an advanced feature meant for professional use, and is available in Pro edition only.